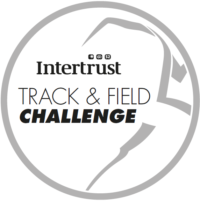 There was a sizeable entry at Footes Lane on Thursday evening for the latest Intertrust T&F Challenge – not least in the 5,000m where an unprecedented 31 athletes started. Ed Mason was the class of the field as he returned to form with a personal best and Island Games A Standard – only the second athlete to achieve this in 2018 – as he comfortably went inside the 15:40 mark by over 3sec. Mason was visibly delighted to be back to his best after struggling with injury and form up to this point. 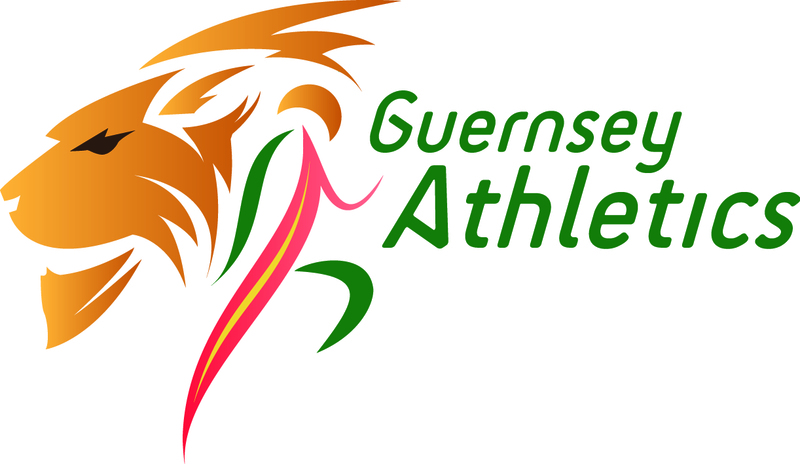 He told the Guernsey Press: ‘I was really pleased with it, I was surprised with the PB and Island Games A standard. After a tough week of races [for last week’s All-Terrain Challenge] I thought my legs would be feeling it – but I felt great with about 2000m to go so thought I may as well push on and go for it. I’m buzzing because my last race on the track was a bit of a shocker.’ Behind him, visiting Louie Boot won a three-way battle with Alex Rowe and Dan Galpin as all three finished inside 15:57. The Island Games development standard – for which Rowe is eligible – stands at 16:15. James Priest continued his good form as he was best of the rest in a field filled with PB’s. First woman home was Vanessa Rodriguez who was happy to dip under 20mins following last week’s All-Terrain Challenge exploits. There was some exciting 200m races prior to the 5,000 as Lucas Rive (22.80) and Peter Curtis (22.85) both chased home their coach Dale Garland in the home straight to go well inside the Island Games development standard as Garland continues to defy his advancing years with victory in 22.67sec (wind +1.1m/s). Garland showed his strength in the final quarter of the race as he opened a gap over his young charges. There was no such gap in the women’s equivalent as Hannah Lesbirel and Abi Galpin battled it out for the victory. The latter it was who continued her recent purple patch of form to take victory in her second fastest ever performance as she out-dipped the Island record-holder by a mere hundredth of a second to win in 25.36 (+0.9). Like Garland though, much of the victor’s good work came in the final 50m. Further back, hurdler Rhiannon Dowinton made a significant breakthrough in performance over the half-lap – looking more relevant now she is targeting 300m hurdles alongside the sprint hurdles – as she took third place in 26.57. There was the option of the shorter sprint for the athletes as well and Rive and Galpin bounced back from their fast 200m performances to put together some impressive technical sprinting and claim victory in their respective 100m races. Galpin has been peppering the 12.5 mark in recent weeks irrespective of the conditions and she took comfortable victory in 12.56 (+1.3) on this occasion – Rive achieving an even bigger gap to the field in his race with 11.45 (+1.3). Both sprints saw pleasing performances across a selection of lower age group athletes including Ben Stevens, Patrick Carpentier, Amelie Carpentier, Eve Walley and Caitlin Jackson. There were also plenty of youngsters on display in the field events as Megan Vaudin and Phoebe Page impressed in the discus (18.79 & 14.44m) and Tom Brierly went over 30m on his debut with the senior implement. Beth Powell (U15) was the sole hammer thrower but achieved a new PB of 12.18. The returning Jordan Kelly was the star of the triple jump runway as he leapt 12.59m ahead of youngster Patrick Carpentier’s 10.45m. The Island Games development standard stands at 13m so the horizontal jumper may have that in his sights if his comeback continues through the winter. The wind had been somewhat more brisk in the earlier evening as the sprint hurdles kicked off proceedings – but there was one wind-legal race which saw Vicky Hancock earn a new PB of 12.55sec (+1.8) over U15G 75mH. U13 athlete Aideen Le Prevost went inside her PB also but was aided by an illegal wind. In the middle distance event of the evening, Richard Bartram clocked 1:58.90 ahead of Sam Lesley and Isaac Powers. Youngsters Harry Tough and Gian-Luca Robilliard continued their recent good form with performances marginally outside their PB’s. On the women’s side, young Kate Bain again chipped a few tenths off her best with an impressively executed 2:21.27 ahead of Alice Loveridge’s PB of 2:25.28. Videos are courtesy of Chris Chalmers and further videos are available via his YouTube channel.